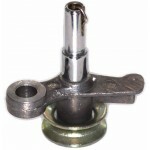 Welcome to our sewing machine bobbin winder page. 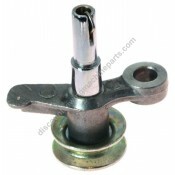 Here you will find a large selection of sewing machine bobbin winders. 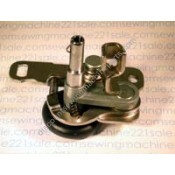 Click on any part to get more information including a complete listing of compatible sewing machines and alternate part numbers for a specific bobbin winder. 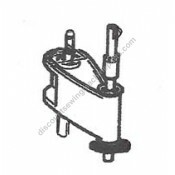 Fits the following Singer sewing machine models221..
Alternate Part Numbers128549051, 176662Fits the following Brother sewing machine models 1001, 2001,.. 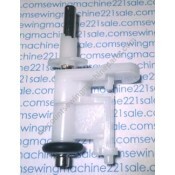 Fits the following Brother sewing machine models VX700, VX940, VX530.. 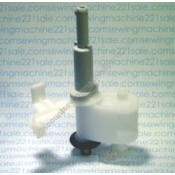 Fits the following Brother sewing machine models 1681, 3K884619, 3KC8849, 661, 681, 741, 751, .. Fits the following Brother sewing machine models VX808, VX810, VX857, VX880, VX920, VX950, VX9..
Alternate Part NumbersX53971051, X58924051Fits the following Babylock sewing machine models BL2150, .. 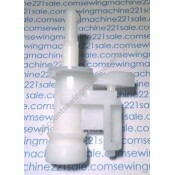 Fits the following Brother sewing machine models LS400, XL2022, XL2030, XL2010.. 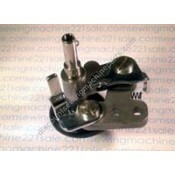 Fits the following Brother sewing machine models VX1200, VX1100..
Alternate Part NumbersX59953051Fits the following Babylock sewing machine models BL6700, BL6200Fits .. 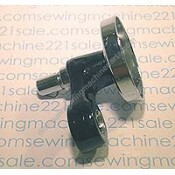 Fits the following Brother sewing machine models BS2250, LS1217, LS1717, VX1120, VX1125, VX1140.. 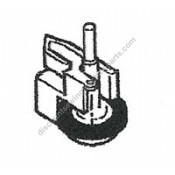 Fits the following Babylock sewing machine models B15, B17, B21Fits the following Brother sewing m..
Alternate Part NumbersXC0199051 BRFits the following Brother sewing machine models XL6452, XL6562, ..
Alternate Part NumbersXC5041121Fits the following Brother sewing machine models BM2600, BM3500, L2..
Alternate Part NumbersXC8799021, XC8799121Fits the following Brother sewing machine models BC1000, .. 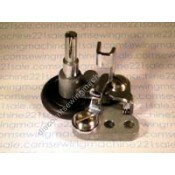 Fits the following Babylock sewing machine models BL137A2, BL40A, BL40Fits the following Brother se.. 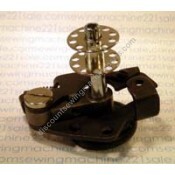 Fits the following Brother sewing machine models CE5500PRW, CP6500, CP7500, DS120, DS140, FS20,.. 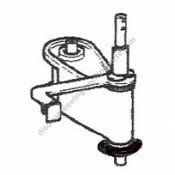 Fits the following Brother sewing machine models SB170, XM3700, LX2500..
For models with the "Bobbin Winder Reset Button" such as 158.16030, 158.17031, 158.18032 and others ..
Comes with bobbin winder ring.Alternate Part Numbers200540Fits the following Kenmore sewing machine ..
Comes with bobbin winder ring.Alternate Part Numbers214458Fits the following Kenmore sewing machine ..
Kenmore bobbin winder complete.Fits the following Kenmore sewing machine models 158.17911, 158.1792..
Comes with bobbin winder ring.Fits the following Kenmore sewing machine models 158.1784183, 158.1784.. 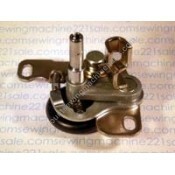 This bobbin winder is NO LONGER AVAILABLEFits the following Kenmore sewing machine models 158.111018..